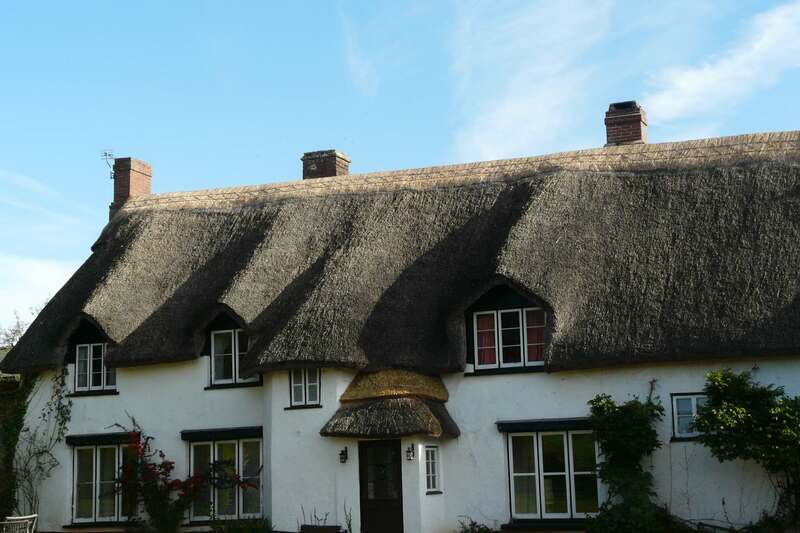 Carl Ward Thatching has been established for over 30 years. 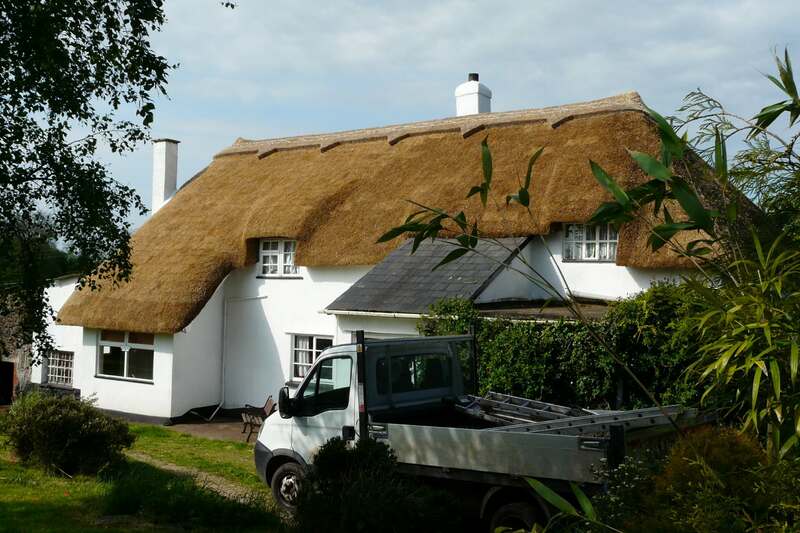 We are Master Thatchers covering Devon and Somerset. A Master Thatcher is a person who has accumulated many years of sound knowledge and experience in his craft or trade. From a pretty 'rose covered chocolate box' style of cottage with detailed fancy ridging to a larger commercial property - we can do it. We love what we do and therefore find it rewarding to see the end result and a happy smiling customer! 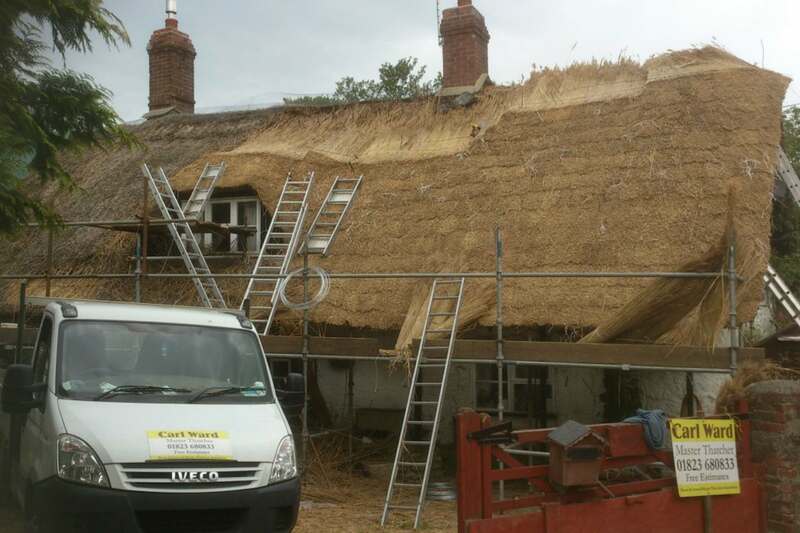 With a wealth of over 30 years' experience in the thatching world, we consider ourselves to be Masters in our trade. We have built up an exceptional reputation and business via recommendations throughout the years by providing quality and reliable workmanship. We are extremely conscientious with a keen eye for detail and artistic flair. 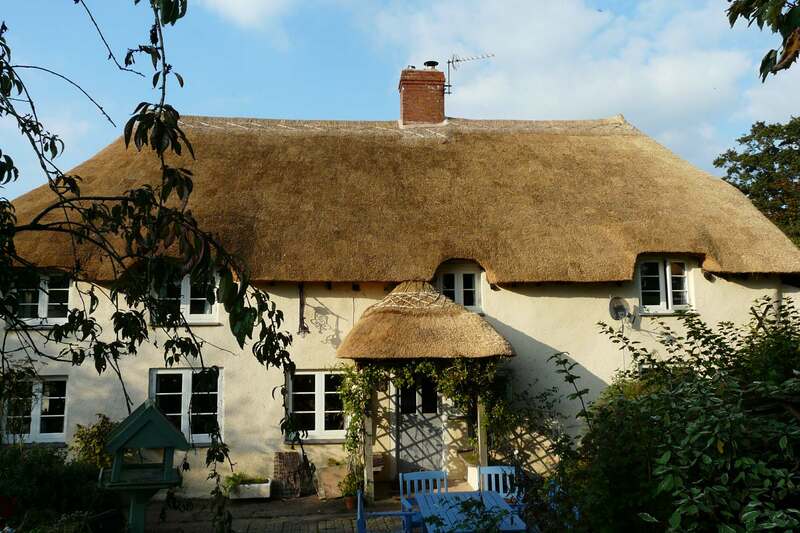 We are efficient and thorough in all that we undertake and are very happy to explain in good detail all requirements necessary to produce a beautiful and reliable thatched roof. Free Estimate: If you aren't sure as to whether you need a whole new roof or just part of the roof renewed, we are happy to visit you and give a thorough investigation and advice. Re-ridging is required to be done approximately every 7 to 10 years as this is the highest point of the roof and therefore will get a little more exposure to the elements. We take pride in creating our own artistic 'local Devon style' ridging. Or, if the customer has any different fancy ideas of design, we are happy to listen and work with our customer to create their wishes. This is the main reed we use. Also known as Devon Reed / Wheat Straw. This is also used on roofs but is usually used for the ridging on the top of the thatch. 'Water Reed' or 'Phragmite Australis' being the Latin word. This reed has been used in the UK for centuries and it believed to be the longest lasting compared to other reeds. When we are repairing or replacing your thatch we often come across rotten or damaged timbers which we carefully repair to ensure your roof is structurally sound.